Please buy this type of chili only. You can drop it off at the church during the week, on Sundays, or on Friday, Oct 27th by 3:30pm. We need 5 more cans or money for 5 more cans. The following have donated. We also need . . . homemade cornbread muffins . . . . coats . . . and helpers for that evening. . . . See other sign up sheets. #NationalIceCreamDay – Ice cream and church do go together. … In full disclosure, ice cream was eaten in the making of this advertisement. We had all kinds of ice cream: Fudgsicles, Firecrackers, Magnums, ice cream sandwiches, It’s It, cups of vanilla and swirl, and Outshine fruit bars to name a few. #NationalIceCreamDay is on the calendar once a year. For 2017, July 16th is that day. Since that day is a Sunday, CNC celebrated National Ice Cream Day. Why? I love that we encouraged people to bring a box of their favourite ice cream TO CHURCH. I like that we encouraged folks to take photos and post them on social media with the appropriate hash tag. And I believe that celebrating ice cream is like celebrating church. Church is more than a building or a body of people. It is a place full of God’s presence. This daddy-daughter duo is cool as they celebrate this National Day. Church and ice cream have other similarities. Going to church, like eating ice cream, can be a bad experience because . . . The people or ingredients could be rotten. The experience of either/both didn’t meet expectations. There is a bad fit. Someone is just not in the mood for the ice cream or church. And to that last remark I say a resounding, “Hogwash!” I am always in the mood for ice cream (either Breyer’s Natural Vanilla Ice Cream or Ben & Jerry’s Cherry Garcia). And I am always in the mood for church. Well to be more precise, I am always in the mood to savour God’s Presence. When we are consistently not in the mood to go to church, let’s PRAY and talk with someone. When our church experience tastes rotten, doesn’t fit our expectations, or isn’t a good fit, let’s PRAY and talk with someone, someone wise. It doesn’t have to be that way. Although church is filled with people who are imperfect (like me) and who do selfish things (like me), church can still be a positive, uplifting, loving time with God and the people there. You can eat ice cream in the sanctuary, Rudat Hall, or even in the kitchen. There are so many GREAT churches in my area. There are a lot of great churches in your area, too. Have you prayed about what to look for in a church? Read 5 Reasons I Love My Church. And I am adding a 6th reason I love my church. We do silly, fun, connecting things like celebrating National Ice Cream Day. Next year, come join us! Or better yet, celebrate church with us every Sunday. Join us because it is inclusive, cool, loving and a place FULL of God’s Presence. Messy is a good look when it come to “ice cream” messy. How did you celebrate National Ice Cream Day? In your opinion, how are ice cream and church alike? What are some favourite things about your church? And if your name is Becky, come to CNC this Sunday. Amanda, thanks for this “messy” photo. Advice from Jerry Greenfield (co-founder of Ben & Jerry’s Homemade Holdings, Inc.. This is advice I may or may not take. Let’s celebrate this fun day together. The 3rd Sunday in July is National Ice Cream Day. But if you miss that day, don’t worry, this whole month is National Ice Cream Month. View this brief history of ice cream. Ice cream started as a winter, ice/syrup delight for the wealthy. It is now a worldwide, creamy treat available year round to the masses. Stats indicate that Americans prefer ice cream over other desserts. And that we eat 4-6 gallons of ice cream per year. In the summer of 1790, President George Washington splurged and bought $200 worth of ice cream (about $3,000 today). I don’t know if he shared. Dolley Madison (wife of James Madison, President of the United States from 1809 to 1817) preferred oyster ice cream. 18th century cookbooks offered, weird to me, recipes like parmesan ice cream and asparagus ice cream. Grocery stores started selling ice cream in the 1930’s. Ice cream had become so popular with Americans during WWII that it became an American symbol. Therefore, Mussolini banned it in Italy. Ice cream headaches last 10-30 seconds and sometimes up to five minutes. Hawaiian Punch syrup was developed in 1934 and was first sold as an ice cream topping. In 1946 the company was sold. The new owners began offering it in drink form. The residents of Portland, Oregon eat more ice cream than residents in any other American city. Come to Cordova Neighborhood Church on Sunday, July 16, 2017. Share a box of your fave frozen treat. We will splurge between the services and after the 2nd service. Create an ice cream craft. Check out my Ice Cream Pinterest board. Do a taste test. Find out which ice cream is the best tasting. These folks discovered the tastiest store bought vanilla. Listen to songs about ice cream. Make some ice cream. Do so with a machine or in a bag. Share an ice cream memory. Tell us in the comments or at your own social media space. Take a selfie or group shot eating ice cream. Post on social media using #NationalIceCreamDay. Your Turn . . . What ever you do, enjoy some Ice Cream. . . . Then tell us about it. Related Internet Posts . 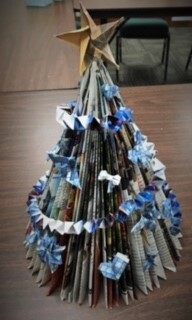 . .
Did any of you see this Tree that was by the sign-up sheet last Sunday? BEAUTIFUL! Our 2 hour class is this Friday in Rudat Hall; 5:30-7:30pm. You’ll want to be on time so you can devote all 120 minutes to this project, snacking, and visiting. Lina Washabaugh is our teacher. I am looking forward to seeing y’all and making my own beautiful creation. In light of the shootings in SO CAL this week, this is an appropriate gratitude quote: “Counting blessings is the quickest way to restore balance in the face of disaster and tragedy” (Margaret Brownlwy). ONE. 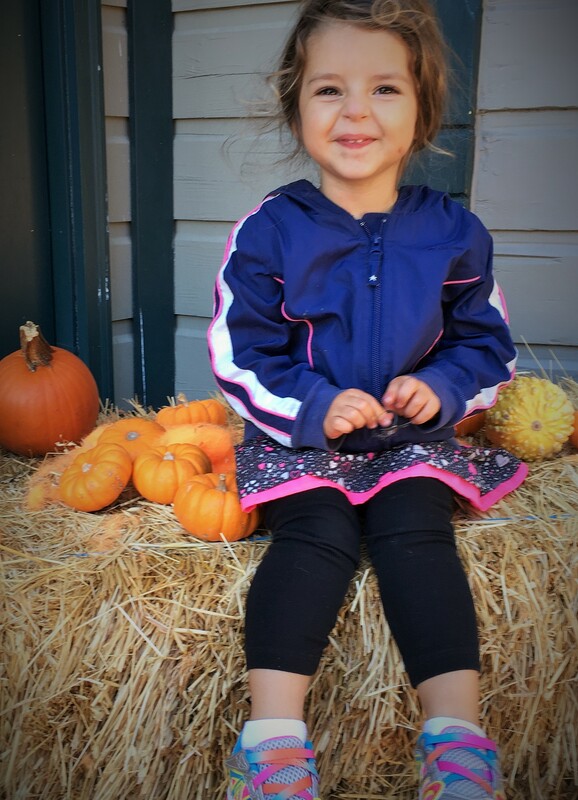 I spent the last weekend with my daughter. And one of those days was spent in Yosemite. My daughter moved into a one bedroom last week (in Yosemite National Park) and asked me to bring down a couple of things. I am grateful that I got to eat a turkey dinner with her even if it was on Saturday and in the food mart. I am also grateful that she is soooooo happy. TWO. Celebrated a friend’s 50th birthday at Starbucks. Theresa set up her own party. What a good example that is for me to see others ask for what they want/need. I got to have a Peppermint Mocha, celebrate Theresa and also chat with Lori. I am blessed by their perseverance in life, their walk with God, and they way they love/like me. This is the 3rd snowman ornament I’ve made this season already. I am getting out of control! THREE. 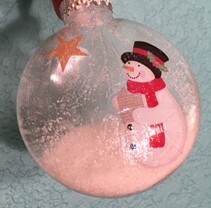 Made a snowman ornament. I used this tutorial for an owl ornament and substituted snowman stickers. I LOVE my ornament. Crafting is always a great stress reliever for me and also is way I can think without pressure. Does that make sense? FOUR. 71 sign ups for my church Senior Christmas party. This year my team and I switched things up and instead of a potluck, we are having it catered. And we also changed the venue. Because of these changes, I was hoping for 50 folks. I am thrilled that 71 people trust us with this updated event. FIVE. A new sweater. A woman from church sometimes brings me things that she finds on sale. I wish I had that knack at the thrift store. This time it is a sweater and it is PURPLE. I’ve been looking for purple tops because I want to wear purple on the 4 Sundays of Advent. The only person who knew that was God. I am doubly BLESSED. Up for sharing some of your blessings? 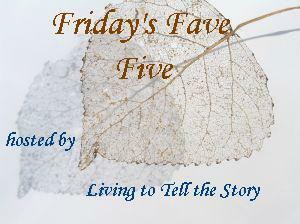 Leave a comment or go to Susanne’s Friday’s Fave Fave at Living to Tell the Story to link up your post. I’ve been remiss these past weeks and haven’t written a Friday’s Fave Five. Here is this week’s offering. ONE. I’ve been coping with a cold for 3 weeks now. I spent several days last week with my son’s family getting loved on. And after an impromptu visit with friends (Shula & John), I came home with tea, vitamins and some fresh eggs from their hens. I am feeling better – just a lingering cough. TWO. I attended a Tea, fashion show and fundraiser sponsored by The CLUB. It is a respite program (adult day care for folks with memory issues) that meets at our church. The food and company were delicious. And the models (regular women) did a great job and I have some new wardrobe pieces in mind to purchase. THREE. Celebrated a friend’s birthday. Marsha and I took Gillian to lunch at Plates Cafe & Catering. We all ordered the special of the day, meatloaf sandwiches and sweet potato fries. YUMMM. This restaurant is run by St John’s Shelter for Women and Children. They help homeless women find a footing in life by offering them training and work so they can increase their job skills and employability. FOUR. 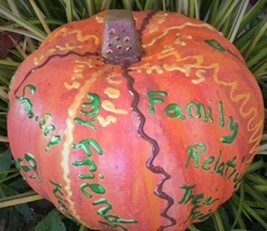 Prayer pumpkin helps with a new way of praying. Have you ever prayed according to topic each day? If yes, what were your categories? I haven’t until recently. I am quite liking this method. I don’t know where to stop without feeling guilty. I believe in the power of prayer and I know that when I do stop there is still so much more to pray for. This new way of prayer (for me) is giving me some doable boundaries. Does that sound silly or shallow? FIVE. I repotted a plant. Trudy (volunteer receptionist at work) brought everything I needed to repot my philodendron plant, months ago. Finally this week I did the dirty deed – mainly because it wouldn’t stand up anymore. I am grateful it has recovered quite nicely and adds lovely life to my office. Your Turn . . . Write your own FFF and link up at Living to Tell the Story. Or leave a comment sharing your own blessings from this past week. CNC women are good at loving on one other. We honor each other with parties, listen well to each other, and we go out on Sundays after church. We want to connect better with one another and this is shown by things like our involvement in small groups, Secret Sister, and the mentoring program we had a couple of years ago. On Monday, November 16th, there will be a new study for women. 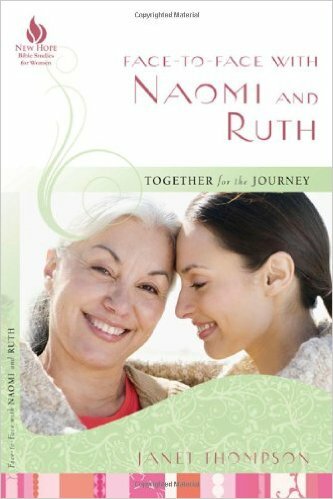 The book is Face-to-Face with Naomi and Ruth: Together for the Journey. “Through the story of Naomi and Ruth, women will discover the power of committing to one another for the journey of faith in a relationship based on mutual caring and sharing. 2 small groups will begin on Monday, November 16th. One will be from 1:30-3pm. The other study will be from 7-8:30pm. We’ll discuss chapter 1 (in class) on that date. It is a five-week study. The price for a book is $9.75 (through Amazon). It is $4.99 (plus tax) on Kindle. I’ve ordered 8 books; so let me know today, if you’d like one. At present there is a back order on books. Of course you can go to a local book store to pick up your copy. If this goes well and there is interest, we will have a one-on-one mentoring program in 2016. Contact me today, if you have any questions and to RSVP “YES.” JOIN us in this small group, it will be time well spent.